Is this doing me any good? We’ve all asked that question. For some things, take smoking cigarettes, the harmful effect is so large that you don’t need to do a randomised trial to show this, but for most other things the effects are not so clear-cut. Randomised trials are the only really reliable way to prove that a treatment is the cause of an observed effect, whether a benefit or hazard. It relates to the old adage, ‘correlation is not causation’, but still it’s a bold claim, so in the illustration below we’ve tried to show why it is the case. We are not saying that you can or should do a randomised trial on everything, but there are many examples in medicine of trials that it was said couldn’t be done, for example, for many years it was believed that it was not possible to do trials comparing different methods of surgery, but it was possible and, in just the last few years, the area of behavioural economics has shown that trials can be done in many other areas of daily life from voting, saving for retirement etc. The irony is that while those other areas have copied medicine in using randomised trials to create uniquely reliable evidence, further benefit in medicine is now being hampered by bad-regulation and, specifically, ICH-GCP. This is what we want to change with the MoreTrials campaign. The easiest way to demonstrate the unique value of randomised trials is to use an example, which we’ve done in the following illustration of testing a new treatment for depression, which can be found here. 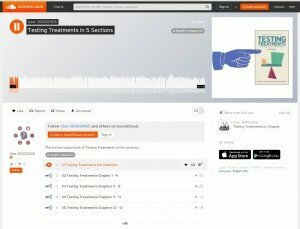 Over the coming weeks and months, we will use the blog to illustrate the stunning value of randomised trials to address uncertainties about the effects of treatments. If you want to share your own stories of randomised trials you’ve done or know about that have made a difference, we’d love to hear from you so do contact us here. As a starter, you can read about an example from our own work, a trial undertaken a quarter of a century ago that transformed the treatment of heart-attacks. Over the coming weeks, we share more examples of randomised trials that really made a difference. We acknowledge that not everything we do can be the subject of a randomised trial, but many things more things could be and the central argument of this campaign is that bad regulation, and, specifically the ICH-GCP guideline, which was created 20 years ago by a few drug regulators and industry, is preventing these trials from being done. This means that unnecessary uncertainties persist about the effects of many more things than there needs to be. The irony is that those who are responsible for this regulation always argue that this regulation is done “to protect people”, but it is having exactly the opposite effect. When we talk about protecting people, of course, we need to ensure that trial participants are protected, and the evidence that is available shows that they are, but we also need to consider that by making it much more difficult than it needs to be to do randomised trials uncertainties about the effects of treatment persist, which means that many more people are at risk than needs to be. This campaign will change this by replacing the ICH-GCP guideline with a new-GCP developed by everybody involved or interested in trials that will make it much more easy to do randomised trials. This new-GCP will ensure that we are much more certain about the effects of treatments so will benefit all of us. 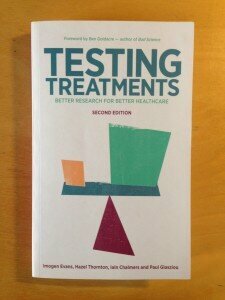 If you want to dig deeper into the value of randomised trials then you can download for free the book, “Testing Treatments”, which was co-authored by Iain Chalmers (UK) and Paul Glasziou (Australia), who are both behind the MoreTrials campaign. You can download, again for free, an audio edition of the book here.